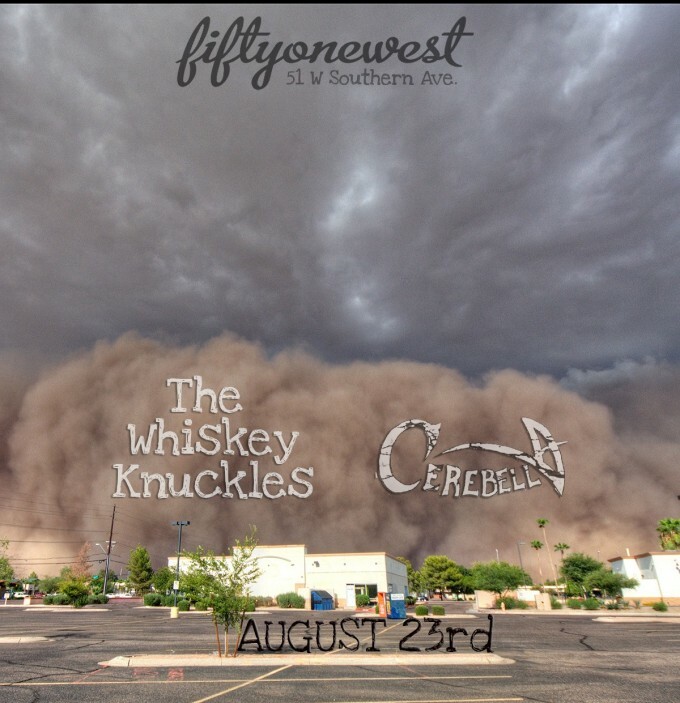 Whiskey Knuckles in Tempe August 23rd! Alright, the Whiskey Knuckles will be heading up the I-10! Join us at 51 West (51 West Southern Ave., Tempe, Arizona 85282) on August 23rd, with Cerebella and more to be announced.